Thattekad Bird Sanctuary, the first bird sanctuary of Kerala state, is situated near Kothamangalam. This Bird Sanctuary is situated in between two branches of River Periyar. It is a small bird sanctuary with an area of just 25 square kilometers. Thattekad Bird Sanctuary is rich in terms of the species of birds found. This Bird Sanctuary is considered as “the richest bird habitat on peninsular India“, by none other than Late Dr. Salim Ali, the great ornithologist. Different species of water birds and forest birds are found in large numbers. This Bird Sanctuary is home to different species of Cuckoos. How Do I Go to Thattekad Bird Sanctuary? 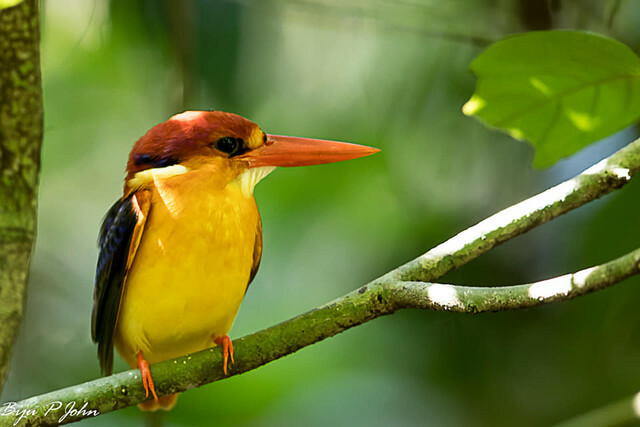 Thattekad Bird Sanctuary is at around 12 kilometers from Kothamangalam town, in Ernakulam district, Kerala state. Kochi or Ernakulam (two nearby twin cites) is at around 55 kilometers from Kothamangalam. Ernakulam is the nearest city with 2 major railway stations; Ernakulam North alias Ernakulam Town and Ernakulam South alias Ernakulam junction railway stations; which are well connected to the rest of India. Angamaly and Aluva are two other nearby railway stations on the Ernakulam – Salem railway line. The nearest airport is at Nedumbrassery near Angamaly, on the outskirts of Kochi.